When Ernest Shackleton embarked on a journey to be the first persons to see and travel on the South Polar Plateau, he recruited his “A-Team”. As a true leader, he displayed an ability to be intellectually honest and open with his team at all times….acknowledging the challenges facing them. What an ad. That’s the beginning of what I’d call being transparent. While you probably won’t be putting your life on the line, if you are a part of my team I can guarantee there will be dark times of what seems to be the impossible. I can also assure you that once you are a part of our team, no matter how hard it may be, you won’t want to be anywhere else. Want to LOVE coming to work every day? Want to be PROUD about what it is you do? I love to create teams that are highly motivated, really smart and creative…and who absolutely love what they do. We love data, and we LOVE what you can do with it. If you want to work with people who care about people, have great attitudes, ethics, passion and personality, then I want to meet you! 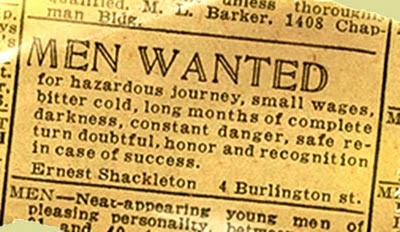 During Ernest Shackleton‘s journey, his greatest threat was NOT the ice or the ship being stuck. It was the threat that the crew wouldn’t stay engaged and moving forward as a TEAM at all times. When disaster struck their expedition, the crew did something very odd. 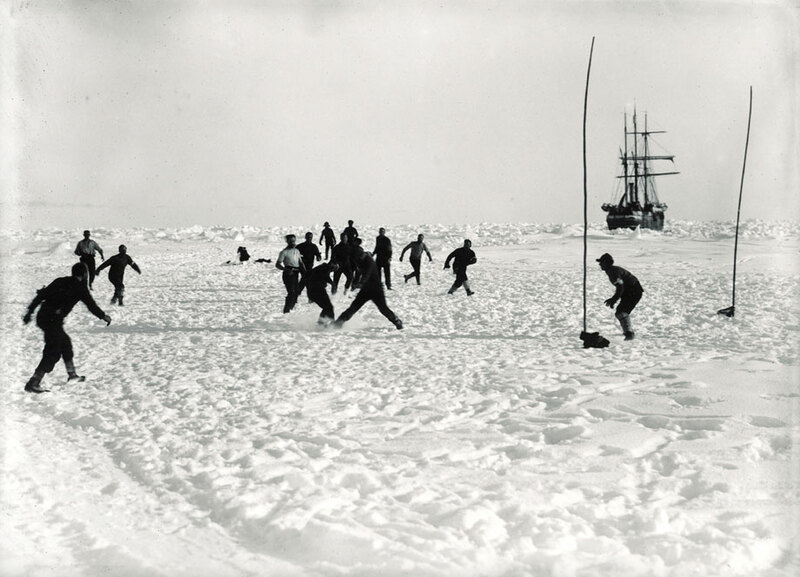 When its ship, Endurance, became trapped in pack ice and was slowly crushed before the shore parties could make it safely to land, they decided to play soccer. If you can understand the moral of this story, then you just might understand what motivates me every single day.